We had nothing to say to each other except for, "look around, and take it all in." As soon as we arrived we knew we would want to stay longer. We explored Yosemite throughout the day: riding our bikes, swimming the rivers and scrambling up to get as many vantage points as possible. 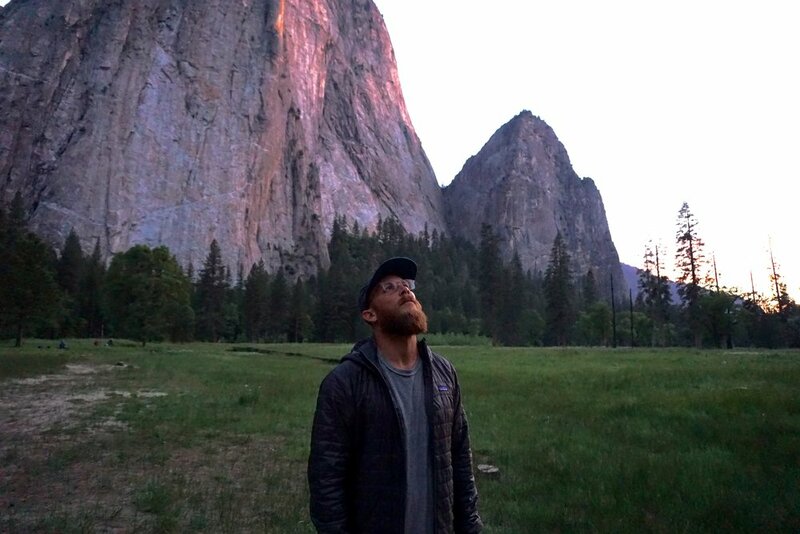 When it can time to hit the road, we met some new friends who were with a group of climbers scaling El Capitan. These extreme outdoorsmen, endearingly referred to as "dirtbags," are dedicated to a life in the wilderness. We ended up staying a little longer to hang out with them, support their group, and watch the sunset. As the sun dropped, the climbing group's headlamps shone onto the wall and it began to twinkle, matching the stars in the sky. Almost getting sucked into the wonder of the valley, we realized we should hit the road. Our new friends did their best to keep us there with all the other wanderlust dirtbags in the valley, but we reluctantly walked toward our ride questioning if we should stay or if we should go. Just before we made it to the van, one person let out their loudest animal howl in the valley. So one by one, we all bellowed our loudest and proudest animal call. It was the best exit I've ever felt!